The BulletInspector housing comes completely assembled with the Bullet Sensor Installed in the bullet tray. Just like the pictures below. A plastic bag of 33 components to be soldered in by you the technician assembling this kit. A bundle of different colored hookup wiring necessary to complete the basic BulletInspector kit. A plastic bag of approximately 50 O-rings for spinning bullets. The wiring diagram and the pictures of the finished circuit board can be downloaded free from this web site by clicking on the text above the picture. No directions on how to operate the BulletInspector are available. If you know how to operate a Vern Juenke machine. This operates on the same principle. It is a clone. No one here at BulletInspector has any idea of how this works. 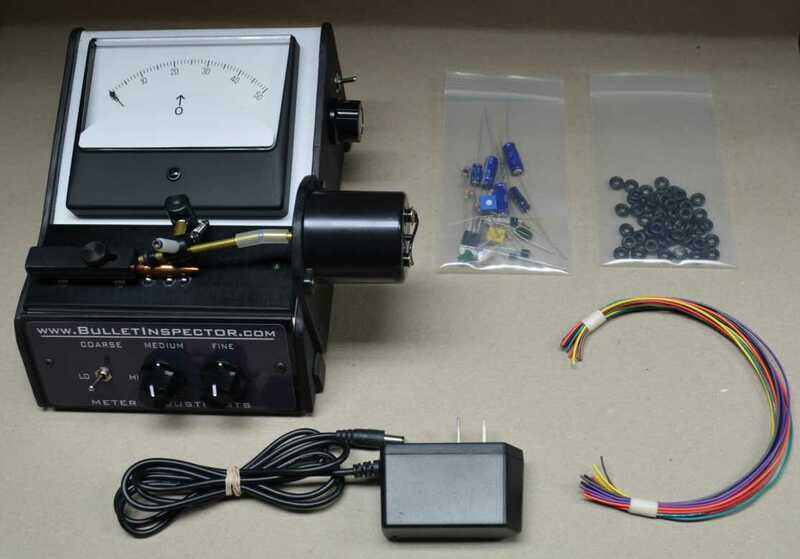 Make sure you have a thorough understanding of electronics and how to operate a ICC type machine before you buy this kit. The housing comes completely assembled in the Basic Kit, just like in the pictures below. The kit will also contain a bundle of hookup wire and a bag of 33 electronic components. You also get a 12 volt power adapter, a bag of o-rings. The Electrical engineer assembling this circuit board will need to understand how to balance the resistors on the board to make the panel meter read correctly. It will also have to be calibrated. To our knowledge the only people that have got this working are Mr. Juenke and the BulletDoctor. The BulletDoctor manual has a page on how to check the calibration. You will need to have access to a Vern Juenke machine to verify yours is right. 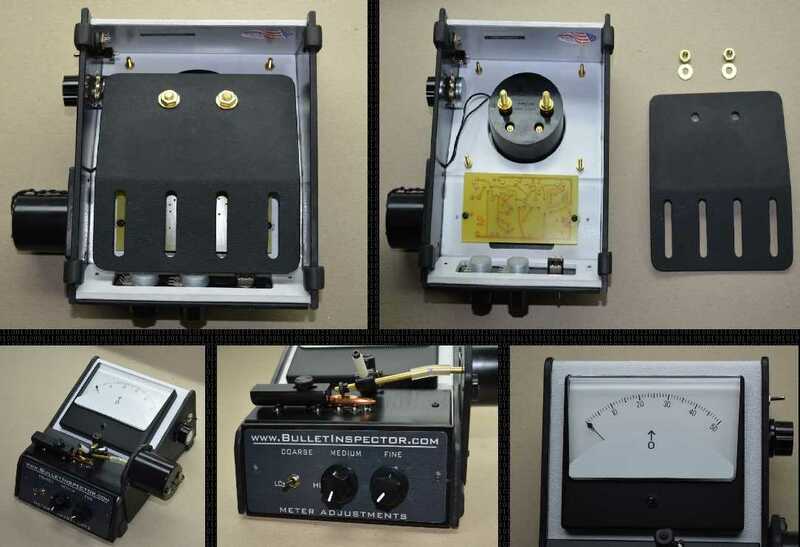 The BulletDoctor has 5 of the Vern Juenke ICC machines he uses to check his meters for proper calibration. Keep this in mind. The BulletDoctor does not work for us and he is not our technical support guy. He is also very busy. Keep that in mind when emailing him. I have tried my best to accurately warn you of all the problems you will have to overcome to successfully assembling this meter kit . Hope this helps. Good luck! !